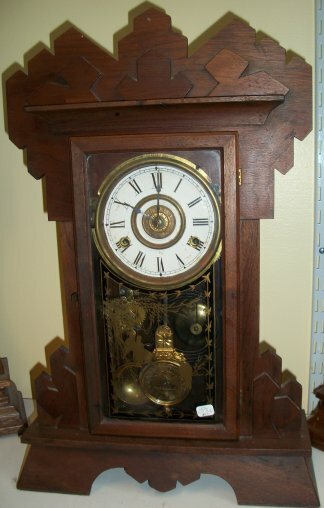 This walnut kitchen clock was made by the New Haven clock company. It has an 8 day time and strike movement with a timer. 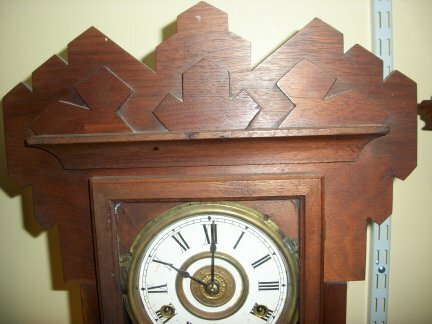 Close view of the top of the clock. 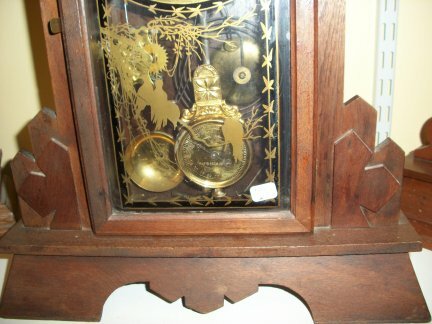 Close view of the bottom of the clock showing the tablet. The tablets of most of the New Haven kitchen clocks have some color on the glass.